Kick off the year with an awesome prize bundle | FreebieFinder UK | Freebies, Samples, & Other Free Stuff. 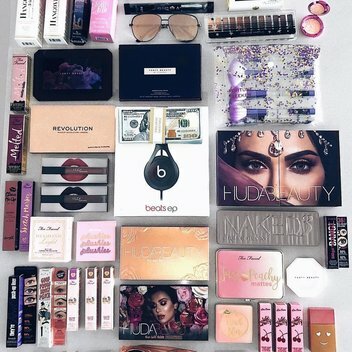 Makeup By Elliee and Laila Loves are doing a huge makeup, headphones and cash giveaway on Instagram to kick off 2019 and to say thank you to all of their followers for their love and support. This was posted 3 months ago 19th January 2019 and expired 2 months ago 23rd January 2019. Head over to Makeup By Elliee's Instagram to check out the competition post and enter this competition.